Assistance dog teams fascinate: they embody the will to overcome impairments. The courage and will to live which teams manifest can offer a change of perspective. Educating the public plays an important role in bringing about acceptance and support for assistance dog teams. The goal of our moving interactive exhibit Life with an Assistance Dog is to inform the public nationwide and build a community. The exhibit is also a platform for out 3-year accessibility campaign. 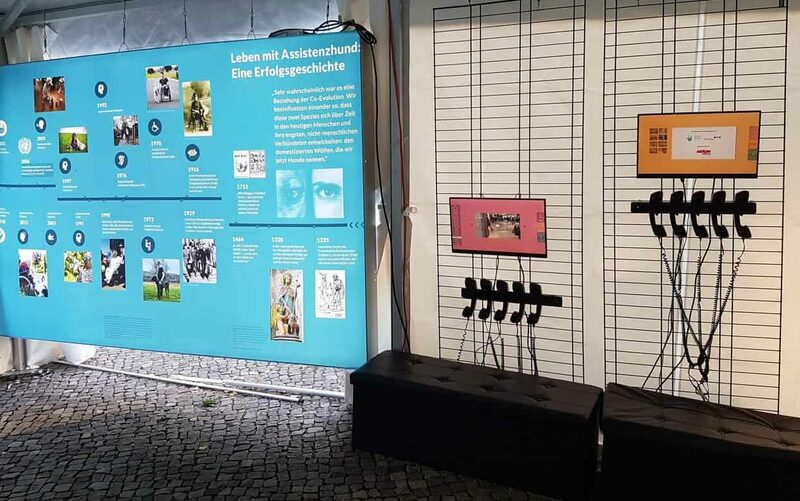 We would like to thank Aktion Mensch who made creating this exhibit possible. With this yearly donation you can support many valuable projects. With what kinds of impairments can they be helpful? How? How do they change the lives of their human/their family? Take a seat in a wheelchair for a VR-film viewing of an “assistance dog experience”. Correct behaviour when encountering an assistance dog team. Using touchscreens and headphones, visitors can watch videos about and made by individuals living with an assistance dog and observe assistance dogs in action. This is also where english and sign language translations are offered. We greatly value accessibility and visitors can ask for assistance at any time. Many of the exhibits are interactive and the information-panels are made of LED-displays and glow. The exhibit has also incorporated video and audio contributions. 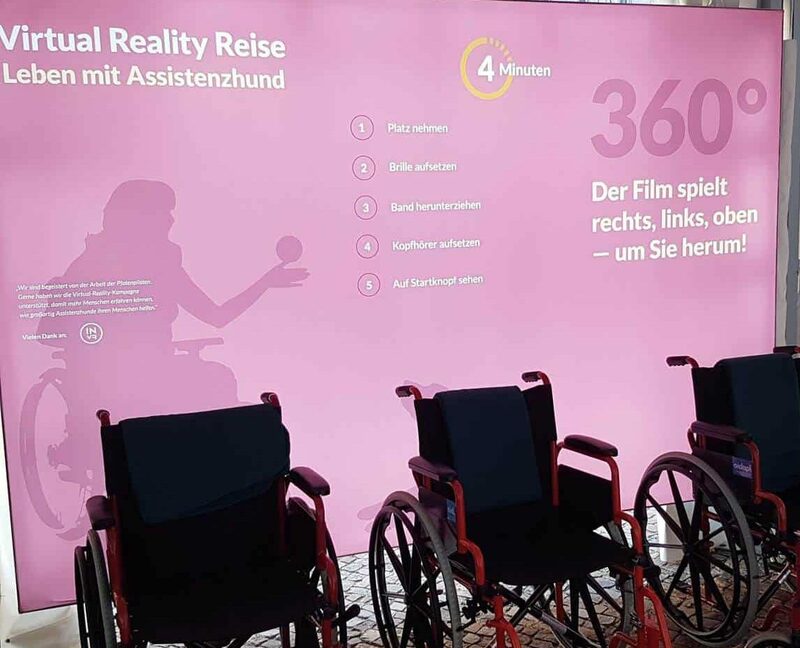 For a special highlight, visitors can take a seat in a wheelchair and experience a VR-360-Film which lasts for about 4 minutes. With the help of the VR-glasses, it feels as though you are taking part in the video – an experience which has lasting effects and is not easily forgotten. When possible, we will supplement our exhibit with live demonstrations. 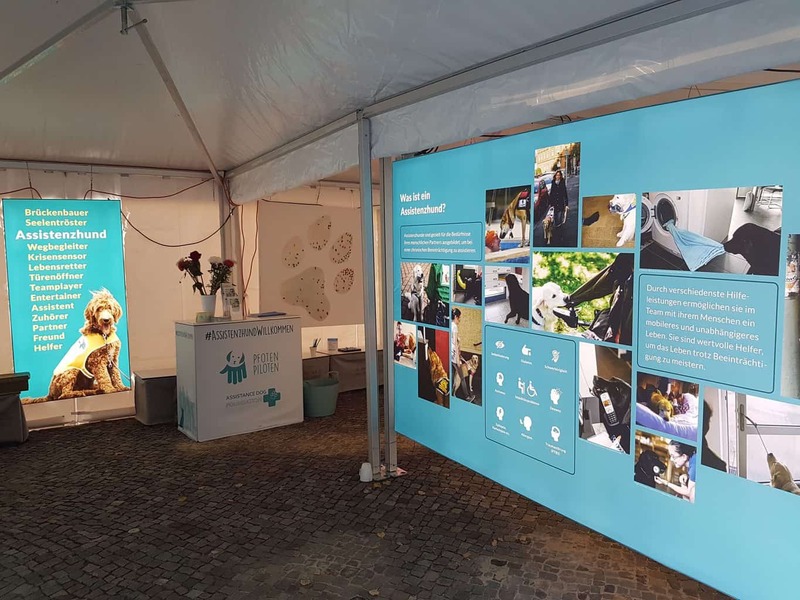 Visitors can put a coloured fingerprint on a large, colourful dog paw, which will be handed over at the Solidarity Event to the Federal Government in 2021. In addition, you can post a selfie with #AssistenzhundWillkommen to show your support for assistance dog teams. These campaigns support Pfotenpiloten’s national accessibility campaign “Assistance Dogs Welcome!” which is sponsored by the Federal Ministry of Labour and Social Affairs. 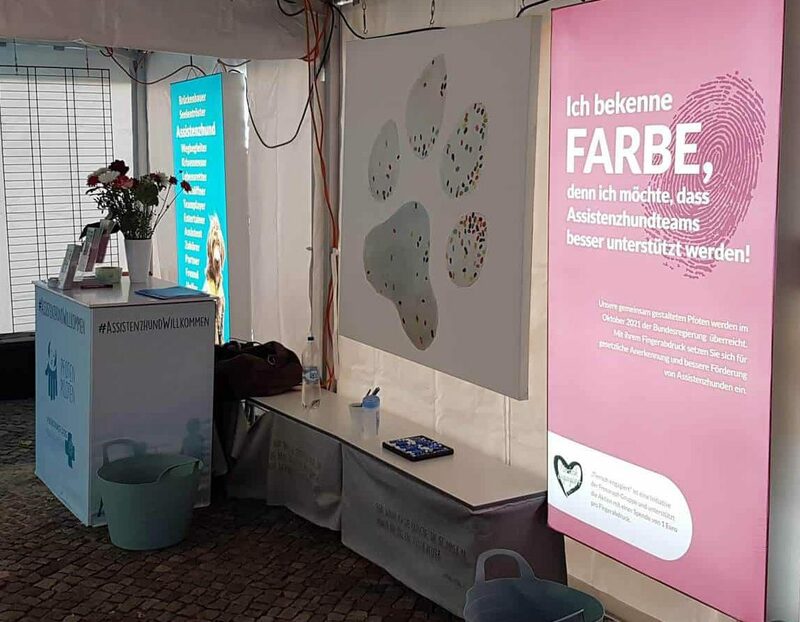 They are also being sponsored by the initiative Tierisch Engagiert from Fressnapf in Germany. 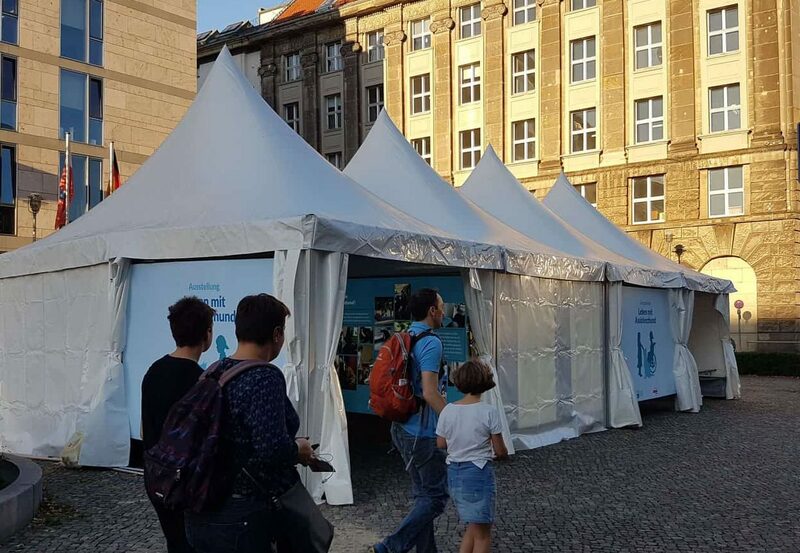 So far the exhibit has been at the Hessentag and the Festival of Lights in Berlin. At the end of 2018 it can be seen at Hauptwache in Frankfurt. You would like us to visit your city? We are thankful for any ideas or suggestions of events where we could participate that have a large audience. Please send us an email with further information.